bags）. The grain bags can only be sealed and not vacuum. Are you still in the purchase of the bag to worry about it? Are you still in expensive for the cost of the lines bags and worry about it? 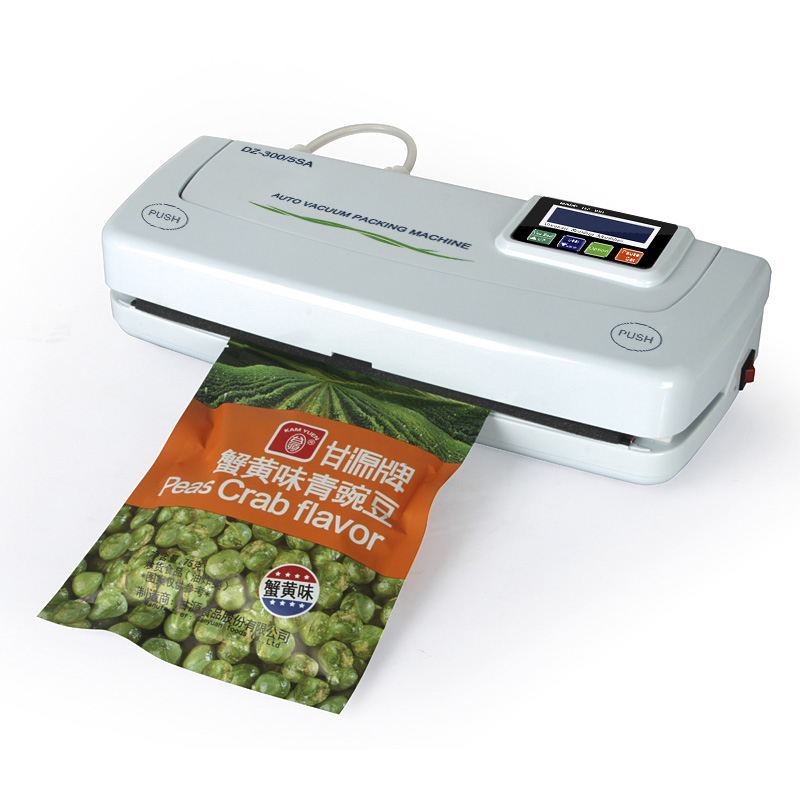 we introduce ShineYe brand automatic liquid crystal display multifunctional DZ-300 vacuum sealer for you . It has the function of large machines , large machine\'s vacuum degree and the characteristics of large machines. It can pumping all bags such as yin and Yang bags and anti-static bag. You don\'t need special bags so you can bid farewell to use special bag machine. The cost of bags will be very low. 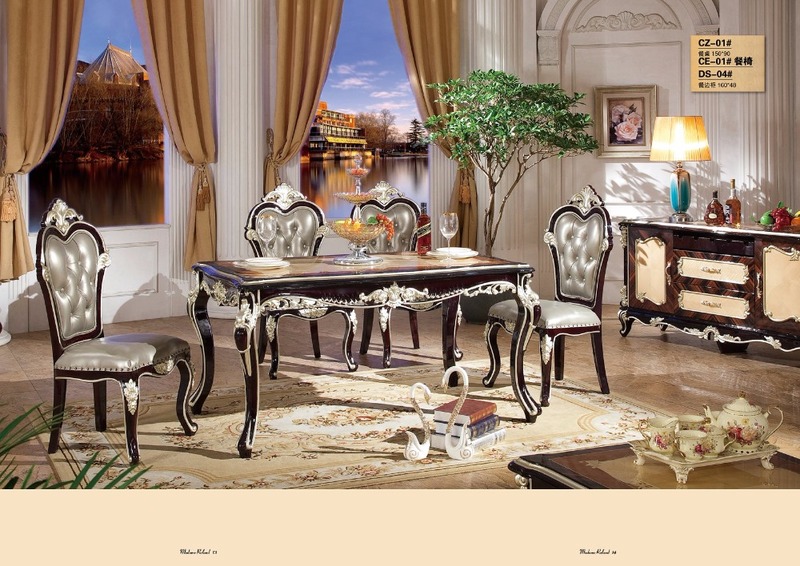 Professional for you to create every penny of genuine goods . This technology has been applied for a patent for invention, ShineYe personnel have product patents. Where the power comes from? Stronger "core" power protection system. 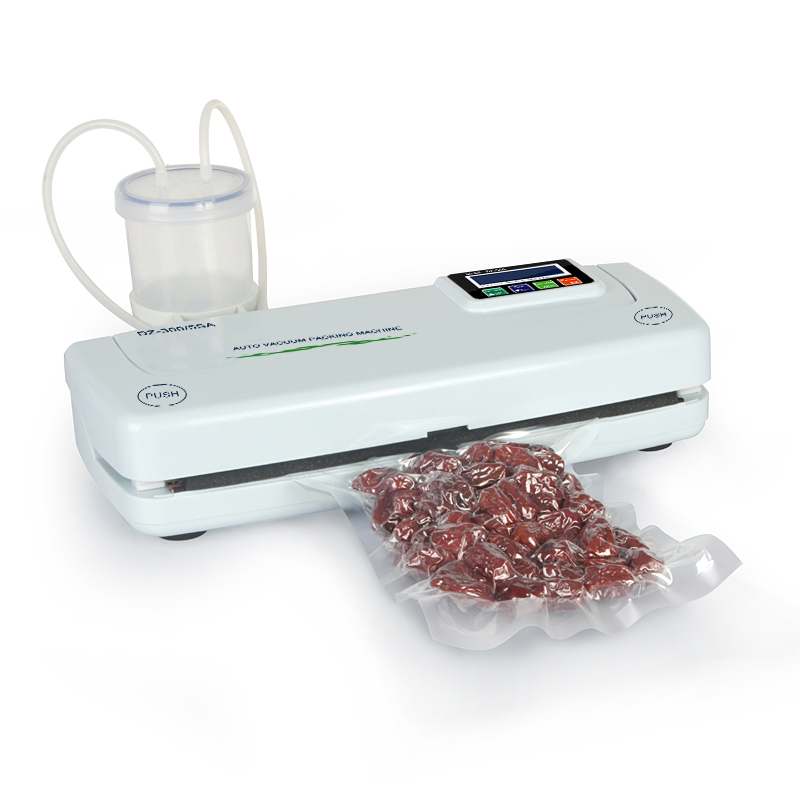 Shine brand vacuum packaging preservation experts can easily extend the shelf life of food 5 times. If there were no it , your life will have a lot of problem. Family: At room temperature,the time of preservation of food is very short. It is easy make bacterial cross infection and microorganisms to accelerate the reproduction so that the food deterioration , deterioration and make food waste. Business: Sales of pork, bacon, sausage, cooked food, dry goods ect in the express transportation process resulting in products by the microbial contamination, oxidation, breakage, throw, the temperature is too high and deterioration to resulting in customer resentment. Collector: The old family photos, jewelry, expensive paintings, books, coins ect valuable items need preserve for a long time.It is very easy oxidation, corrosion, damaged, damp and then lose the preservation of the value. DZ-300 let the food not only keep fresh and but also effective to consolidate the food nutrition. large machine, the service life of the machine is within 4 to 6 years. without any manual intervention and simple operation.So to bid farewell to the manual of the machine age.Package one product takes time 20-30 seconds or so. It is very simple and rapid. vacuum time, accurate to millisecond delay free and quick reaction.Let your soft food can also get the vacuum preservation and care. commitment,if it can not sealing have a lot of water\'s products,our unconditional return. working time. 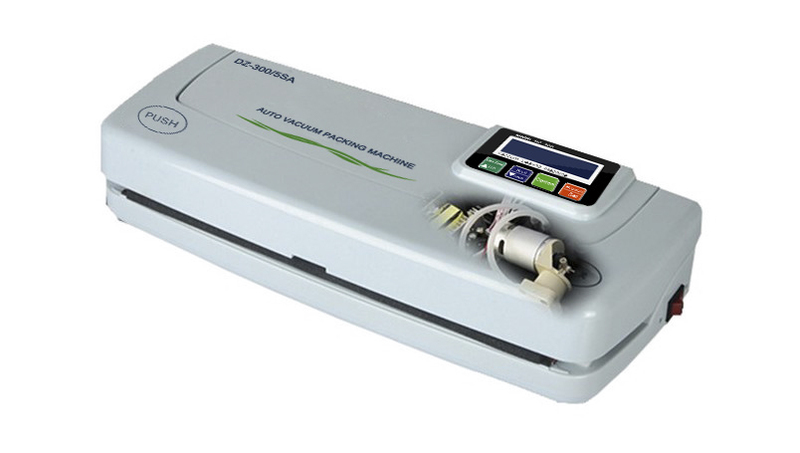 It is a multi-functional vacuum packaging machine. The machine has been upgraded. The Cyan button is OPTION, without External pumping/Option. The machine instructions have not been updated in time. 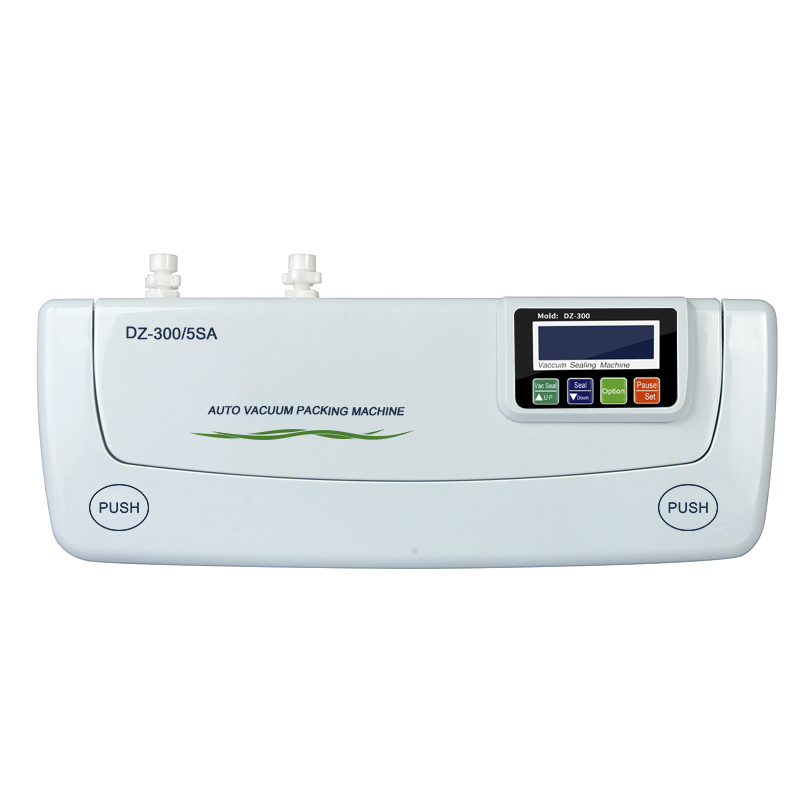 In the automatic pressure detection mode, the machine automatically pumped to the rated standard negative pressure 0.07Mpa and then automatically stop. Not due to excessive pressure and rupture. DZ-300 Can be pumped storage bags, vacuum compressed bag, vacuum storage tank, vacuum wine stopper. 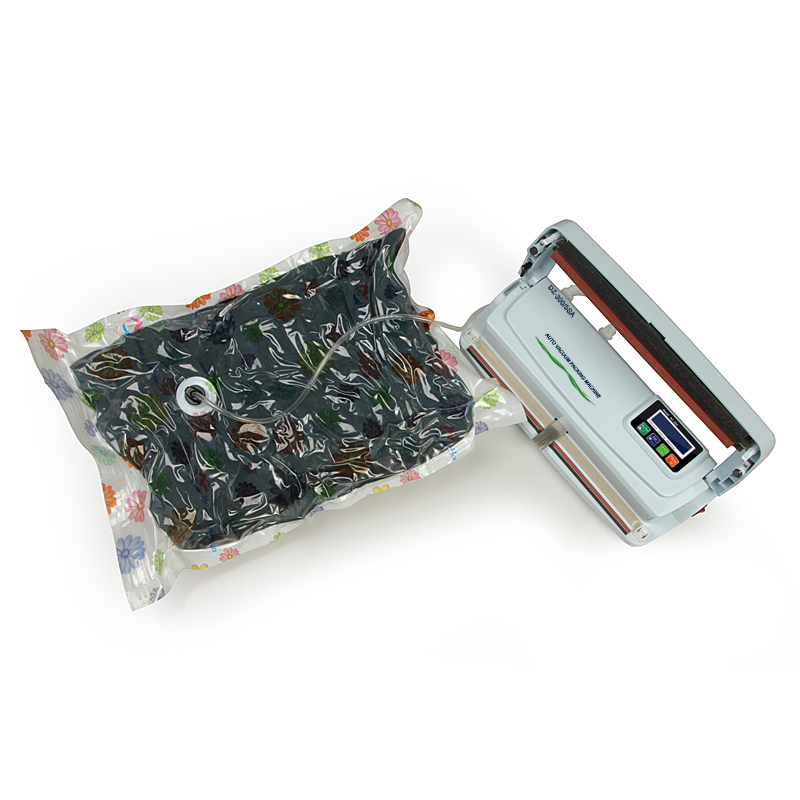 If you buy machine,we will give you a free connecting tube: a head connected to the machine on the socket cover at, another head connected to a storage bag or fresh tank lid. 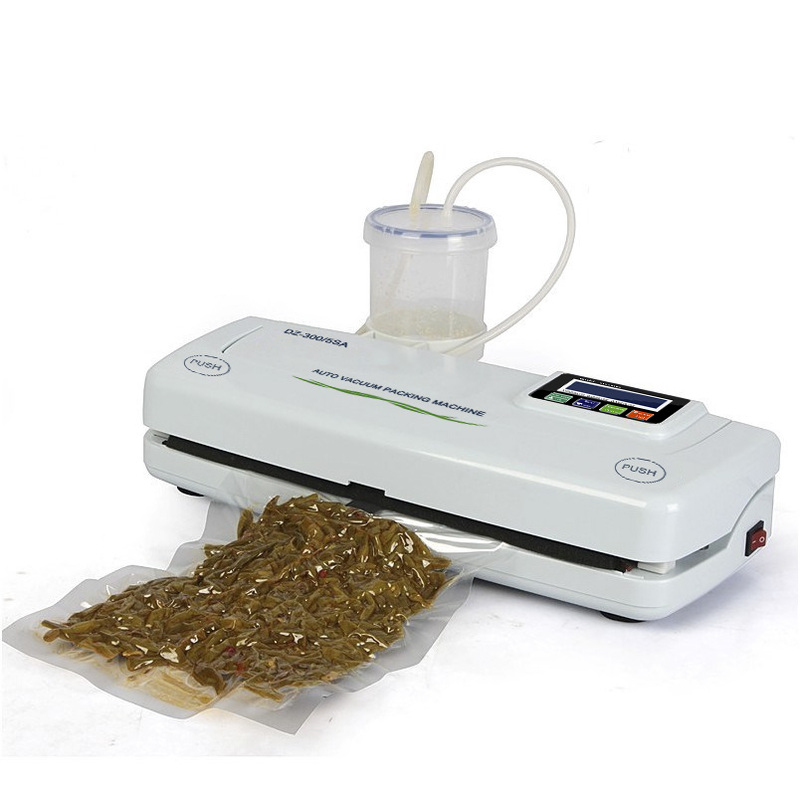 Press vacuum sealing button and then machine will start the pumping vacuum function. variety of different types of vacuum packaging operations. 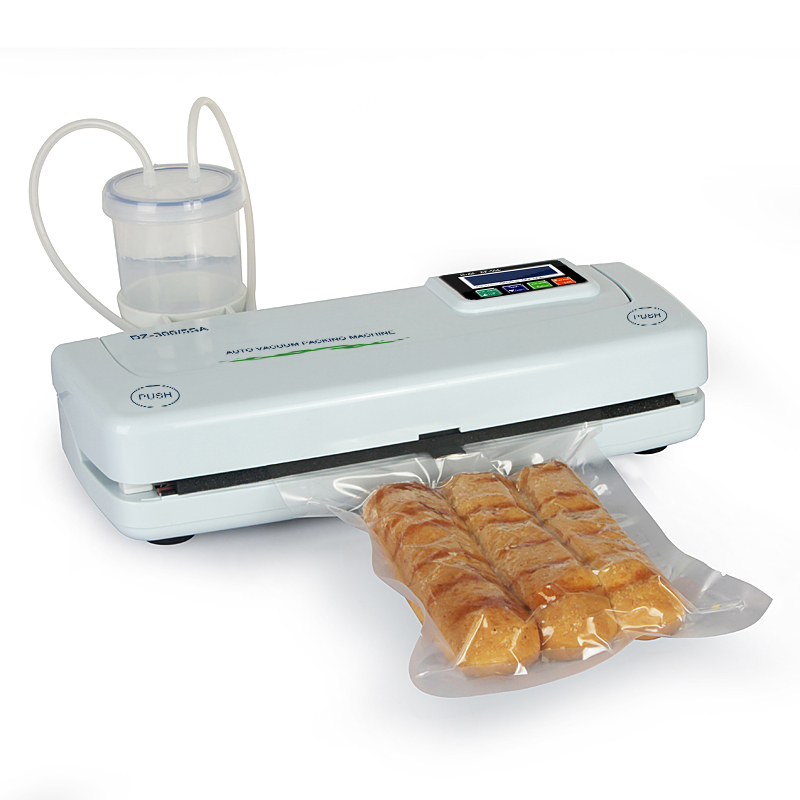 DZ-300 leading vacuum sealer into intelligent life. Set function key introduction: In automatic mode, press the set key can adjust the sealing time of the automatic mode. On the basis of the increase of one second, the upper limit of 12 seconds, the lower limit of 1 second. 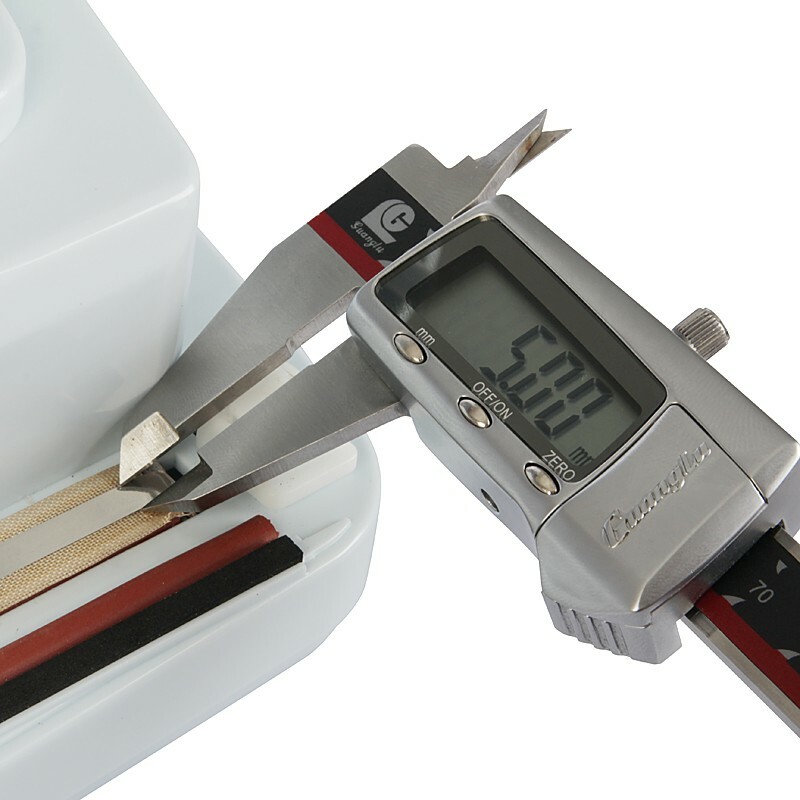 According to the thickness of the bag to adjust sealing time. In a timing mode, press the set key can be the timing mode sealing\'s time and vacuum pumping time to adjust. 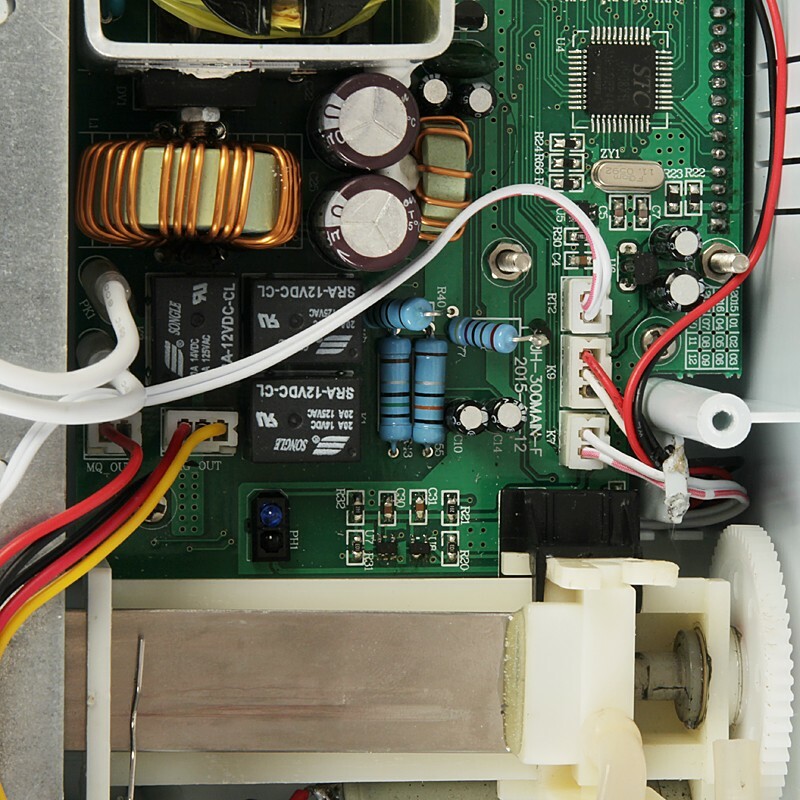 According to add increased second, upper limit of 12 seconds, lower 1, press the select key vacuum pumping time can be adjusted, upper limit of 60 seconds and lower1second. 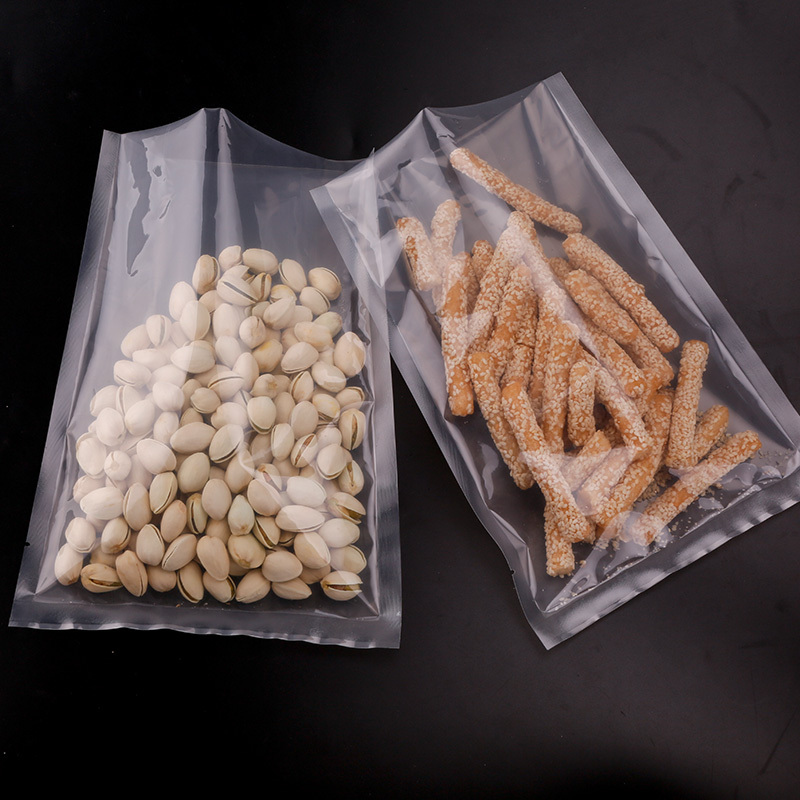 The sealing time can be adjusted according to the thickness of the bag, and the vacuum time can be adjusted according to the softness of the product. It creates a multi function microcomputer control mechanical and electrical integration of Fresh keeping machine. 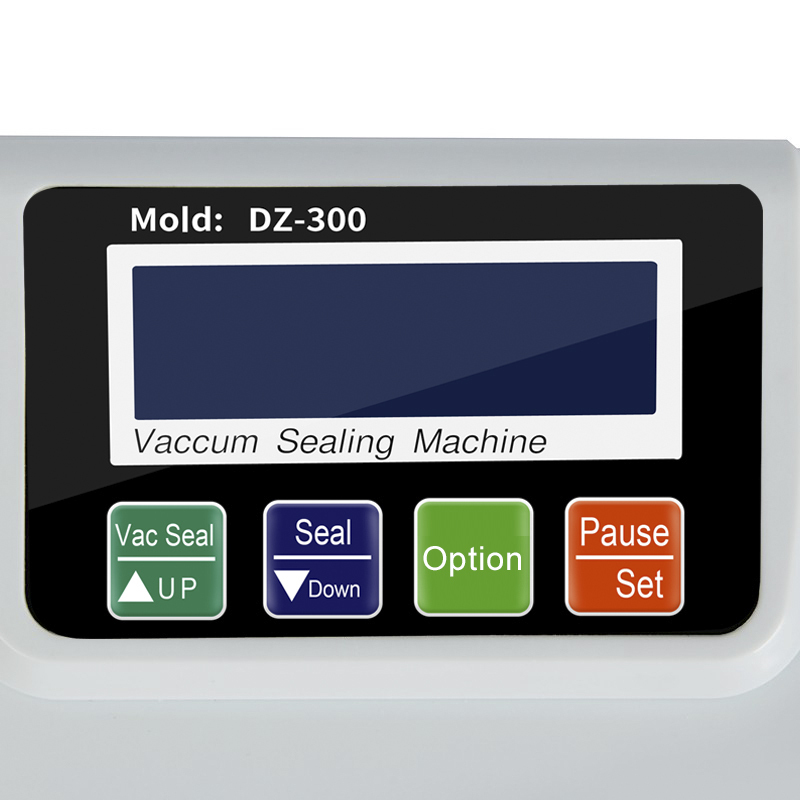 DZ-300 machine with multiple safety protection design, PCB multichannel overload protection. Heating part using the multi-point detection overheating protection function, up to 5 layers of insulation protective layer and makes the machine always work in a safe operating range. Not because the machine batch jobs and the burning machine. Safety protecting your safety. Machine body have up to 30 cm heating wire, sealing width up to 5mm so the sealing more solid perfect. 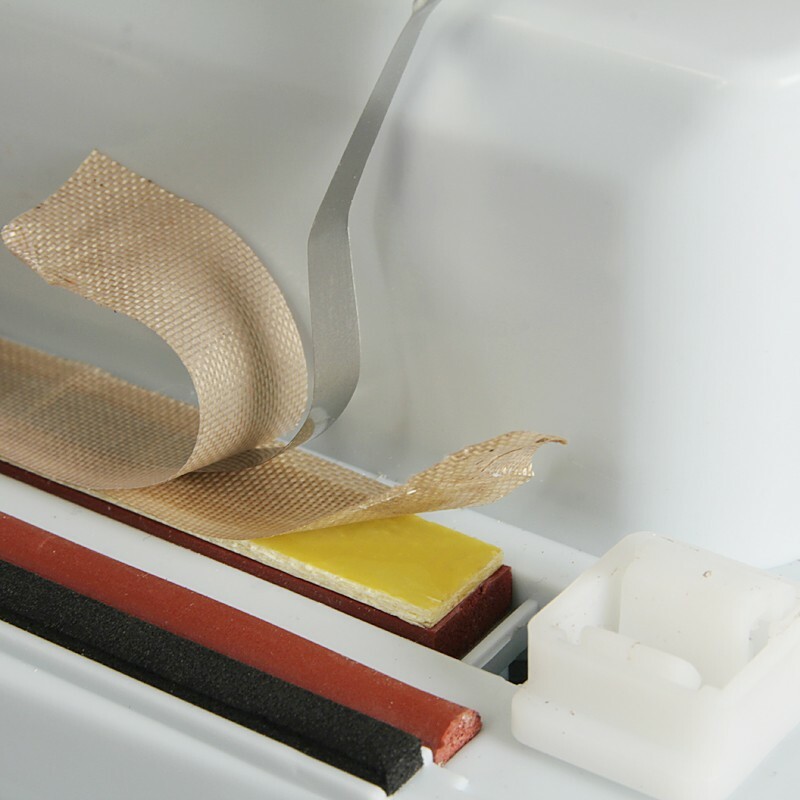 DZ-300 machine has the heating wire exclusive separation design, fuselage design, heating wire, sponge, high temperature adhesive tape and other accessories can directly replace , without need to return the replacement.It is very simple and convenient. 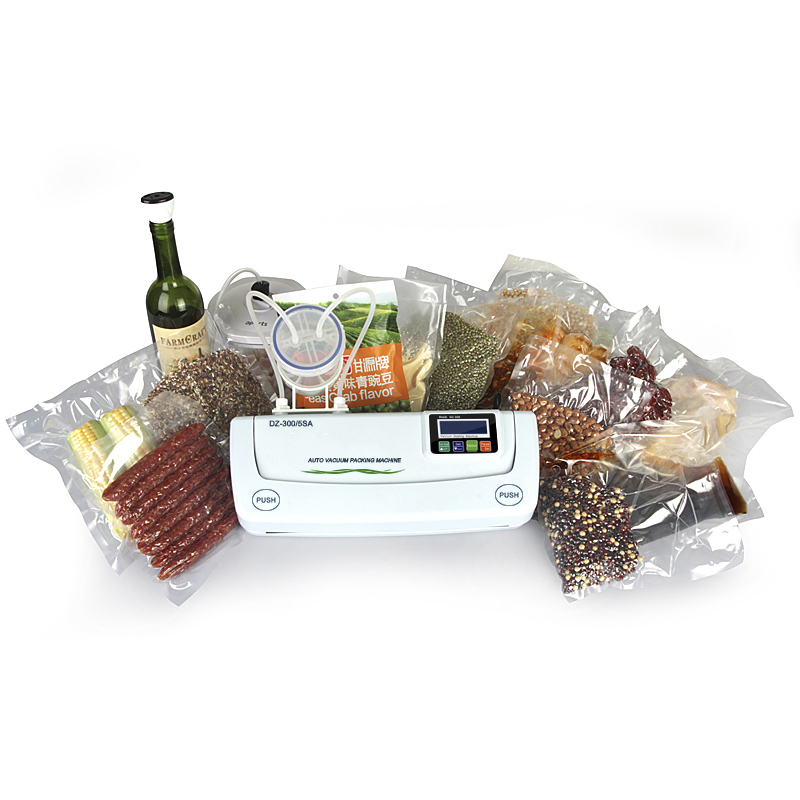 The following we calculate for you, we can make you save how much the cost of vacuum bag? If you need 20 bags in 300 days ,you need 6000 vacuum bag.Our machine service life is 5 years. One machine packages 20 bags in one day.In 5 years you can save USD 6000,one year you can save USD 1200. Select the Qingye DZ-300 automatic liquid crystal display multifunctional vacuum packaging machine. It is your wise choice. state than the general storage of food preservation period extend the multi 3-5 times. 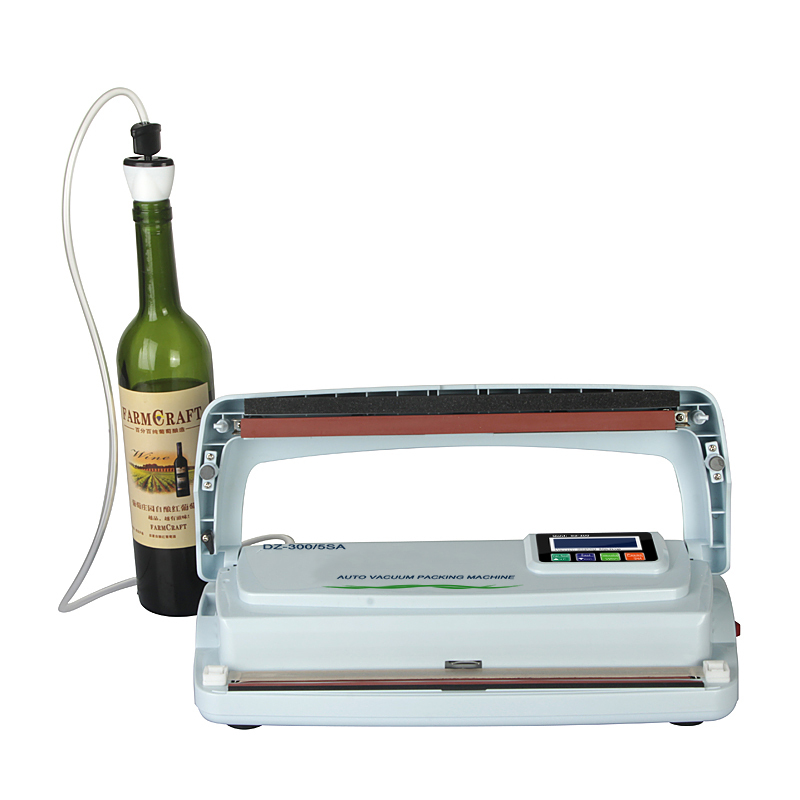 Qingye brand vacuum sealer can effectively guarantee the food fresh, nutrition, moistureproof, antibacterial, and extend the shelf life of food so that food can be permanently to maintain fresh taste and taste of food. This price does not include customs duties. Our delivery time is 7 days after payment. We have assumed half of the courier charges. If the parcel get strict inspected by custom. You still need to pay tax to clear custom. We won\'t bear the customs taxes. The cost of return or lost parcel would be on customer due to reject customs clearance. custom solving problem. Sometimes is slow. Sometimes is fast. If you need customize machine, you may have to wait a week before you can arrange the shipment for you. our best to resolve all problems for you. Your satisfaction is our pursuit, guarantees you will always be first-class productsand perfect pre-sale and after-sales service. If you have problem with the purchase, please contact us. We will stay with you until the problem solved. We believe any problem can be solved properly, we won\'t let you down.